Long vacations are truly a blessing in disguise, but you don’t always have to max out your budget and use up all your paid vacation days to enjoy yourself or just relax. In fact, just going away for the weekend (and you don’t have to go far at all) can do you and your well-being a whole lot of good. Now, before you start wondering where you’re going to go to the next available weekend, just take a look at some of the tips we’ve prepared for you down below: Consider Your Accommodations It might not seem like a big deal, but our choice of accommodations does affect how we feel about a trip. If you’re constantly traveling long distances from your lodgings to your activities, you won’t be able to make the best use of your time. Instead, you should always consider the things you’ll like to be doing and then try and find somewhere more convenient that can also meet your needs. Pick a Place You Like Everyone has likes and dislikes, and when it comes to picking a vacation spot, you’ll discover that there are certain things you can do without and others which you simply feel you must have to complete your getaway. 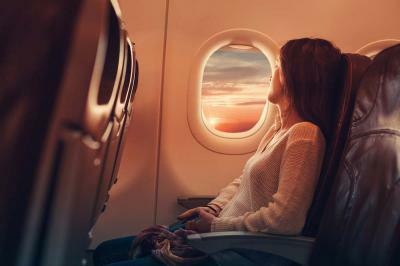 Once you discover just what puts you in or out of the mood to have fun and relax, the planning process for your next trip will definitely go a lot smoother and easier. Bring Someone Along There’s definitely nothing wrong with traveling solo, but there’s much to be said about traveling in the company of others, be it your partner, family, or friends. Too often, we get caught up in our busy schedules and forget to spend time and appreciate those we love. Going away for the weekend with them is one of the best ways to strengthen your relationship and get some quality R&R. Avoid Looking at Your Devices Whether you’re traveling on your own or with others, your weekend getaway can quickly turn into any other day if you’re constantly on your phone or laptop. Sure, you can be surrounded by beautiful nature and wonderful people, but if your mind is set on checking your emails and answering calls, it’s hard to truly enjoy your time and to get the best out of your getaway. Choosing to Fly or Drive Your weekend getaway doesn’t have to include trips to another country or getting onto a plane. In fact, if you do a little research or even ask around for recommendations, you might be surprised at the number of options closer to home that’s within easy driving distance. For a truly enjoyable stress-free time, you can always depend on our limo service Destin, Florida visitors and residents can rely on. Our chauffeurs are some of the best drivers on the road, so don’t hesitate to reach out to us for your next trip!